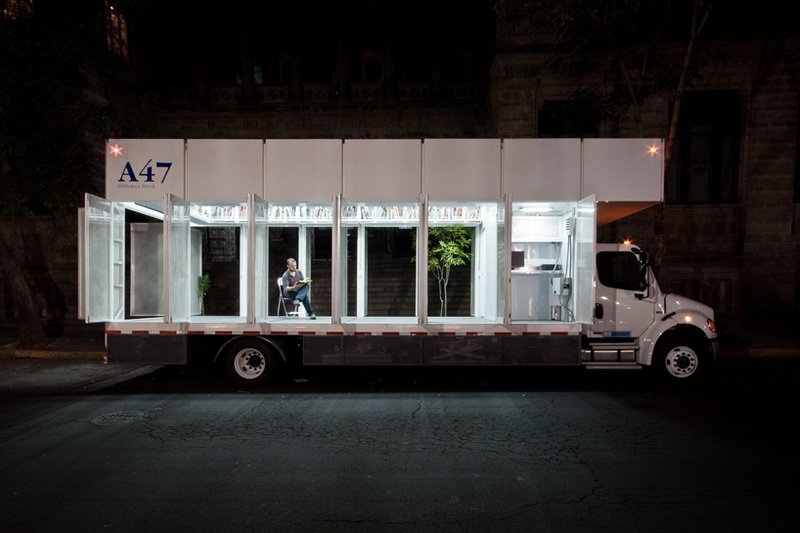 ‘A47’ by productora is a mobile library that travels around mexico city. the alumnos47 foundation is a civil non-profit organization that provides education, debate and reflection on contemporary art practices and visual culture. the foundation commissioned productora to design ‘A47’ as a means of reaching a broader community within mexico with their programs and services. This entry was written by adam, posted on 22/07/2012 at 19:57, filed under Theory. Bookmark the permalink. Follow any comments here with the RSS feed for this post. Post a comment or leave a trackback: Trackback URL.